I wanted to share another recipe with you that may come in handy during this snowy (for most of you) winter break or perhaps as something to plan for your sleepy New Year's Day brunch. This baked french toast recipe is one of my favorites for a special breakfast or brunch and could not be easier. The prep for this recipe is super simple and the results are delicious-- a big change from my semi-disastrous cinnamon rolls of last Christmas! The full recipe feeds a crowd, but for Alex and me I split it in half and froze the other half of the challah loaf. It made the perfect amount for us to eat for Christmas morning breakfast and then for some leftovers the next day. The challah bread is the secret here-- it's soft and dense and soaks up the egg mixture nicely so that you end up with great flavor and each slice is soft on the inside and crispy around the edges. You can serve this plain, with maple syrup, or with fresh fruit or a fruit sauce. I was planning to cook down some blueberries and make a sauce, but I got busy squeezing fresh orange juice and forgot. However you serve it, it is sure to be a hit with your family, friends, and brunch guests! Coat two 13x9x12 inch baking dishes with cooking spray. Slice the bread into 12 equal slices, roughly 1 inch thick. Arrange slices in prepared baking dishes. In a large bowl, whisk together half-and-half, eggs, milk, vanilla, nutmeg, cinnamon, and salt. Pour mixture evenly over the 2 baking dishes. Cover and refrigerate for at least 4 hours or overnight. When you are ready to serve and eat, preheat oven to 350 degrees. In a small saucepan, melt butter. Stir in brown sugar and pecans until fully combined. Spoon evenly over all of the slices in the baking dishes. Bake for 30-40 minutes or until lightly browned. Dust with confectioner's sugar and serve warm with any additional toppings of your choice. 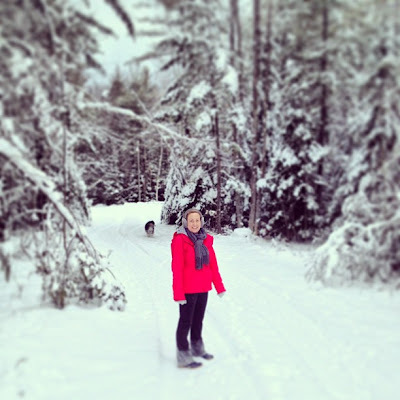 Top 10 A Squared Posts of 2012: As Decided by You! 2012 will be over in less than 36 hours... can you believe it? I hope you all have something fun (and safe) planned for tomorrow evening! 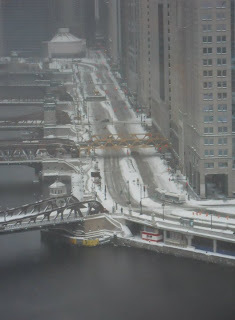 In the meantime, I wanted to thank all of my readers for stopping by and loyally reading this blog. I appreciate each and every one of you and your constant support of my little piece of the internet. As an homage to you, I wanted to take a little trip down memory lane and share with you the top 10 most popular posts of 2012-- as decided by you, my lovely readers. Let the countdown begin! 10. Your 10th favorite post of the year was a surprise to me: Start Spreading the News was a teaser for our trip to New York City in September. 9. Just For Fun: Healthier Pumpkin Chocolate Chip Muffins. One of my all time favorite baking recipes and I can't wait until next fall to bake them again! A lot of you Googled pumpkin muffin recipes and it brought you here. Welcome! 8. What's For Dinner Wednesday: Post-Thanksgiving Apple Cider Glazed Turkey was a great Thanksgiving recipe. What a yummy turkey. Thanks to the original recipe found in Real Simple Magazine we had a delicious Thanksgiving dinner! 7. This is probably one of the most unique recipes that I have posted on this blog. What's For Dinner Wednesday: Fileno Al Mirtilio [Steak with Blueberry Sauce] is a dish that I ate in Florence, Italy years ago and it brought back some really fond memories of one of the best times of my life-- and some of the best meals I have ever had in my life! 6. Just For Fun: Pumpkin Angel Food Cake with Chocolate Glaze. You sure love your pumpkin and chocolate baked goods! This easy, delicious, and relatively low cal dessert recipe ranked #6 on your list of favorite posts. 5. I tried my hand at making granola this year and was pleasantly surprised by the results. I posted two granola recipes, but you chose this one with figs, almonds, and coconut as one of your favorites: Another Gratuitous Granola Post. 4. What's For Dinner Wednesday: Greek Grilled Porkchops. We eat a lot of pork chops in this house and this was one of our favorites-- as well as yours! It's easy, healthy, and a perfect summer grill recipe. 3. 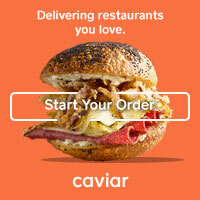 Big shout out to my bff Alexis, my favorite Italian restaurant in Chicago, and a delicious Brussels sprout salad recipe for making this post your third favorite: An A Squared-- or Triple A-- Birthday Celebration. 2. What's For Dinner Wednesday: [Lighter] Broccoli Cheese Rice. I was SO surprised that you all liked this one so much! This recipe is kind of a no brainer and was made on the fly with pantry ingredients. Now that I think about it, that's probably why you liked it so much! And, it's tasty. 1. And your favorite post of the year was only posted a little over a month ago. It was the Top 10 Items On My 2012 Christmas List. Santa must have been reading, because I did see a few of these items under the tree this year! Sporting my new coat and boots in northern Michigan! Cheers to a happy, healthy, and fabulous 2013-- I have a great feeling about this New Year ahead of us and can't wait to share it with you right here! I love serving a beef tenderloin for Christmas dinner. They are relatively quick and easy to prepare (at least in comparison to roasting a chicken or turkey) and because they are a little on the pricey side it's definitely a special occasion meal. My favorite to make is usually our Holiday Beef Tenderloin with Cippolini Onions, but I decided to change things up a little this year. I saw a sheet of puff pastry left in the freezer after making that baked brie for Thanksgiving and a lightbulb went off-- beef Wellington! This dish was actually much easier to make than I imagined it would be, but the flavors are really delicious. The combo of the pastry/mushrooms/Dijon/prosciutto keep the beef moist and the flavors are rich and savory. I paired it with some simple Dijon green beans and roasted root vegetables-- a recipe that I will be sharing with you later. And here's a little tip for your leftovers: Slice the entire Beef Wellington up into individual portions and store any leftover slices cut side down in an airtight container, ideally in a single layer. Preheat the oven to 300 degrees. Bake beef Wellington portions for 10-15 minutes or until they have reached desired degree of warmth. The pastry and prosciutto should crisp back up and the fillet will be warm in the middle. Heat a large skillet over medium high heat and add olive oil, swirling to coat. Season the trimmed beef with salt and pepper and sear each side in the oil until browned, about 2-3 minutes on each side. Remove from heat and set aside. Melt the butter in the skillet over medium heat and add shallots. Cook for a few minutes, stirring frequently until softened and translucent. Add mushrooms and cook, stirring frequently until the liquid in the pan has evaporated. Carefully pour brandy into the pan and cook down until liquid has evaporated, stirring often. Stir in the garlic and herbs and cook for 2 minutes. Remove pan from heat. Unroll a large piece of plastic wrap (large enough to wrap around the tenderloin) and smooth it out on a flat surface. Arrange the prosciutto in a single layer over the plastic wrap, slightly overlapping to ensure that there are no gaps between slices. Spread the mushroom mixture over the prosciutto layer leaving about an inch of space around the edges. Spread Dijon mustard evenly around the outside of the beef tenderloin. Place the tenderloin on top of the mushrooms and prosciutto near the edge and then use the plastic wrap to bring the prosciutto up and around the beef. Roll the tenderloin up tight, twisting the plastic wrap at each end tightly to form a tight even cylinder. Place it in the freezer for a few minutes while you prepare the pastry. Roll out the pastry sheet on a lightly floured surface so that it is large enough to wrap completely around the tenderloin. Unwrap the tenderloin and place it in the center of the pastry. Make an egg wash by whisking one egg and 1 Tbs. water in a small bowl. Brush the edges of the pastry with egg wash and wrap fillet up, using egg wash to "glue" the seams shut. Place the wrapped tenderloin seam side down in a lightly greased glass baking dish. I like to use a dish with edges instead of a baking sheet in case any juices run out of the pastry. Brush the outside of the pastry with egg wash and bake for 35 minutes at 400 degrees for medium doneness. Remove from the oven and allow to stand for ten minutes before transferring to a cutting board and carving. I hope that where ever you are reading this post from you are celebrating this special day with those that mean the most to you. Christmas has always been my favorite day of the year and I love everything about it: the food, the decorations, the music, the movies, the general feeling of joy in the air, and spending time at home with my family. Alex and I are celebrating at home in Chicago again and I couldn't be happier to continue our new little tradition for the second year in a row. I'm hopeful that in the coming years our little Chicago Christmas celebration will expand beyond just the two of us (whether that means babies, puppies, or visiting friends and family), but for now we are enjoying our quiet Christmas together. Today we'll be cooking and eating a lovely Christmas dinner (I'll share the recipes later) and enjoying some Christmas movies by the fire. We also may venture out for a showing of Les Miserables later this afternoon. We're both off tomorrow and will be headed downtown to see the Book of Mormon-- I've never seen my husband so excited to go to the theater! Wishing you all the happiest of holidays today-- enjoy the day and have a very Merry Christmas! And just when you thought I was done baking cookies... I'm back for more! Truthfully, I wanted to make these cookies last weekend as a grand finale to my baking extravaganza, but our oven broke. For real. We baked so much that the oven stopped working. Actually we had some scary wiring problems that were exacerbated by my extreme baking. We're back in business now though! I was doing some organizing and purging of my kitchen when I noticed I had a variety of odds and ends that would be perfect for baking with-- dark chocolate chips left over from my pumpkin chocolate chip muffins, dried cranberries from the maple Brussels sprouts I made for Thanksgiving dinner, and some sweetened flaked coconut that I used in my homemade granola. Voila! Delicious cookies to (really) finish off my holiday baking. They're like grown up chocolate chip cookies-- the coconut keeps them moist and sweet, the cranberries give them some extra chewiness, and the dark chocolate makes them extra rich. Preheat oven to 350 degrees. In a small bowl, whisk together flour, baking soda, and salt. In a separate large mixing bowl, cream together butter, sugar, brown sugar, and vanilla until combined. Add egg and beat well until smooth. Pour flour mixture into the creamed mixture and mix until completely combined. Fold chocolate chips, cranberries, and coconut into the dough until evenly distributed. Drop by the spoonful onto a cookie sheet and bake for 10 minutes until golden brown. Remove from the oven, allow cookies to cool on the pan for 3-4 minutes, and transfer to a wire cooking rack to cool completely. It's my final holiday cookie post of 2012! 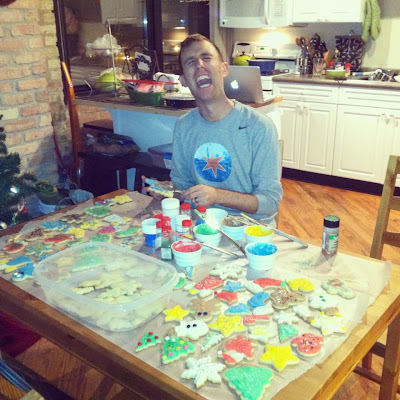 One of my favorite traditions from Christmases past is making cut out cookies for Santa with my family. We have been using this same recipe for as long as I can remember and it is so good that we have never had a reason to ever stray from it. The cookies are really good-- soft and chewy with a sweet vanilla buttercream frosting. These are not fast cookies to make, but the process is worth it. We used to love helping my mom roll out and cut the cookies and then, of course, gathering around the table to frost and decorate them. When we were little there were a lot of ugly cookies with sloppy frosting and a disgusting amount of sprinkles. Then we'd select a few to leave out for Santa (along with some carrot sticks for the reindeer, of course). Once we got a little older they looked prettier and were also sometimes decorated inappropriately. Sisters, you know what I am talking about. I hope you give this recipe a try. These are great cookies to leave out for Santa, to share with your friends and neighbors in your cookie tins, or to bring to your cookie exchange. Please enjoy one of my family's favorites! Beat butter and sugar together. Add eggs and beat well until combined. Add vanilla, flour, and baking soda and mix well until dough is combined and comes together. Pull the dough together into a ball and wrap in plastic wrap. Chill for several hours; preferably overnight. Roll dough out onto a floured mat or board until about 1/4 inch thick. It works best to work in batches, so you may want to break the dough into 4 pieces and remove from the refrigerator one at a time to roll out and cut. After rolling out, cut into desired shapes and bake on a cookie sheet for 10 to 12 minutes at 350 degrees or until edges are very lightly browned. Remove from oven and allow to cool on cookie sheets until cookies can be easily removed with a spatula. Transfer to wire cooling rack to cool completely and then frost. In a large bowl, beat sugar, butter, vanilla, and milk until smooth. If necessary, add more milk until frosting is a spreadable consistency. If desired, add a few drops of food coloring. For these cookies I divided the frosting into 6 small cups and left one colorless and colored 4 more red, green, blue, and yellow. For the sixth one, I added a small spoonful of cocoa powder and stirred well to create brown (chocolate-flavored) frosting. This recipe makes enough frosting to fill and frost a 2-layer cake, a 13x9-inch sheet cake, or 2 dozen cupcakes. So, I went on a bit of a Christmas baking binge this weekend. It began with some unpleasant weather when I decided to prep for the Christmas cut out cookies that I make every year (more on those later). Then my husband requested that I make his favorite peanut butter kiss cookies once he realized we'd be baking this weekend. And then after that he requested chocolate ones as well... so I requested that he do all the dishes and that he take the majority of the cookies to work with him. It seems like a fair trade to me. My mom has been making these cookies at Christmas for as long as I can remember and they couldn't be easier or more delicious. A word to the wise though-- after they have cooled slightly, refrigerate them in a single layer to make sure that the chocolate firms back up before you package them. You can end up with quite a mess (and ugly cookies) on your hands! I'll be sharing a few more Christmas cookie recipes with you throughout the week too. And one final thought: As you move through this week leading up to Christmas, please keep the people of Newtown, Connecticut in your prayers. Unwrap Kisses into a bowl and freeze until ready to use. In a large bowl, cream together butter and following 6 ingredients (through vanilla) until well combined. Add flour, baking soda, and salt and stir to combine. Refrigerate dough for about an hour until firm. Preheat oven to 350 degrees. Shape dough into 1 inch balls and roll in a shallow dish of granulated sugar. Arrange on a baking sheet and bake for 10 minutes. As soon as the cookies come out of the oven, gently push a frozen Kiss into the center of each cookie. Allow to cool on the cookie sheet for 2-3 minutes and then transfer to a wire cooling rack. Before storing, refrigerate to allow chocolate to set. My office recently held its annual Christmas cookie exchange, which I love! I really enjoy baking, but I don't do it often since it's just Alex and me. If I baked 4 dozen Christmas cookies and had them sitting in my kitchen I would finish them off pretty quickly... so it is nice to have an excuse to give them away. Inevitably, a few people always bring duplicate cookies-- and this year it looks like a lot of my coworkers took a page out of my book and found recipes on Pinterest. We had lots of yummy cake ball truffles, Andes mint cookies, and peppermint chocolate chip cookies. Last year I brought some delicious cream cheese spritz cookies inspired by my fellow food blogger friend Kit and this year I have been on the lookout for something a little different as well. When I happened upon a recipe for Hungarian kiffles I was sold. I'm part Hungarian so this recipe is a fun nod to my roots. I'm also a little partial to Hungarian food after visiting Budapest in college. They make some seriously delicious desserts in eastern Europe! Kiffles are really tasty and not your typical Christmas cookie-- a great compliment to the rest of the cookies in your holiday treat tins. They're almost like little fruit pies-- not too sweet since they are made with a sugarless pastry dough. 2 12 oz. cans of pastry filling *Every recipe that I have read encouraged the use of canned pastry/dessert filling. This is NOT pie filling or regular jam/preserves (which will run and burn). Most cooks also recommended Solo brand, which was what I used as well. I used 3 flavors: poppyseed (one of the most traditional Hungarian fillings), apricot, and raspberry (my favorite of the 3). Mix the 2 1/4 cups flour and salt together in a medium bowl and set aside. Using a stand or hand mixer, beat the cream cheese and butter together at medium speed for 3 to 5 minutes, until very smooth and creamy. Be sure to scrape the sides of the bowl to make sure everything is well blended. Reduce the mixer speed to low and add the flour mixture a little bit at a time, mixing until just combined. The dough will be very moist, but not sticky. Turn the dough out onto a lightly floured pastry mat or on to a sheet of lightly floured wax paper and flatten into a square shape-- about 3/4-inch thick. Cut into 4 equal pieces and wrap each separately in plastic wrap. Refrigerate for at least 2 hours, if not overnight. Preheat the oven to 375 degrees and position a rack in the center of the oven. Line a large cookie sheet with parchment paper. Remove one portion of the dough from the refrigerator and place it on a well floured pastry mat or sheet of wax paper. Dust the top of the dough with flour and top with another sheet of wax paper. Roll the dough out until very thin-- about 1/8-inch thick. Remove the top sheet of wax paper and trim dough into a large square. You can use a pastry wheel, a sharp knife, or do what I did and use your pizza cutter. Cut the square into smaller squares (about 2 inches square is ideal, but you can be flexible depending on how small or large you want your kiffles to be). Set the scraps aside, roll together, and repeat. Place about 3/4 tsp. of pastry filling in center of each square. Pinch together two opposite corners in the center as firmly as possible. Then fold that point over to one side, tuck under the bottom of the kiffle, and smooth down gently. This helps to prevent the cookie from popping open as it bakes, which I learned the hard way. See the photo on the right for my sad first batch of popped kiffles. Arrange cookies on the parchment lined baking sheet. Bake until lightly golden, about 12 to 14 minutes. Cool on the baking sheet for about 1 minute, then carefully transfer to a cooling rack with a spatula. Repeat the process with the remaining 3 portions of dough. It is best to store these between layers of waxed paper in a tightly closed container and refrigerate. Bring to room temperature and dust lightly with confectioner's sugar before serving. December is already flying by and it makes me a little sad because this is truly my favorite time of year and you'd never know it based on my recent posts. Life is busy, I guess! I thought it was about time for me to write a post solely devoted to feeling festive and getting into the holiday spirit! I have got a few cookie posts coming your way (I just need to bake them first! ), but in the meantime let's talk about something near and dear to me at this time of year: Christmas carols! For me, Christmas isn't Christmas without the holiday music. I truly do love almost all Christmas songs. I say almost as there are a few I can definitely live without-- I'm looking at you, I Want a Hippopotamus for Christmas and Dominic the Donkey. Even though I do love them all, there are a few albums that I pull out every year and could listen to forever. A few are newer choices, but a few are albums that my parents played over and over when I was a kid so they bring back some amazing childhood holiday memories. Here are the top 10 in my collection. What are your favorites? One of mom and dad's favorites, but not always mine. My brother and I used to moan and groan everytime they put this one on, but now it's one of my favorites too. This is a CD where all the songs are great on their own, but you should really listen to the tracks in order because each one sort of runs into the next. It's pretty magical. My favorite tracks: Honestly, all of them. But a few standouts include Merry Christmas Darling, Christmas Waltz, Sleigh Ride, and Carol of the Bells. I'd call it a modern classic since I remember when the album was released, but that was already almost 20 years ago. How can that be?? I'm old. 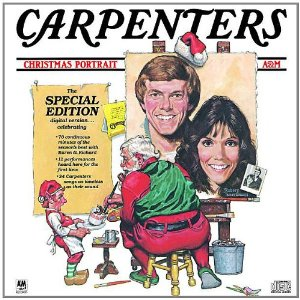 My favorite tracks: Obviously my favorite is All I Want For Christmas is You. Do any of the others even matter? I've also been known to keep Miss You Most (At Christmastime) and Christmas (Baby Please Come Home) on repeat as well. This is a hard one because Amy Grant's first 3 Christmas albums are my mom's favorites and could totally place on my list too. Mom says it doesn't feel like Christmas until she starts playing these CDs. However, I felt it was a little biased to include 3 CDs by the same artist on this top 10 list. 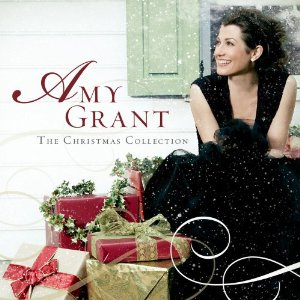 How convenient then that Amy Grant released The Christmas Collection, a compilation of the best tracks from all three! Of course there are a few really good ones that didn't make the cut, so check out her other albums Christmas Album, Home for Christmas, and Christmas to Remember. My favorite tracks: Too many to choose! A few highlights though would be Tennessee Christmas, Breath of Heaven (Mary's Song), and A Christmas to Remember. I know that this one is SO random, but my brother and I couldn't get enough when we were kids! We owned it on cassette tape and vinyl. Now that is old school. 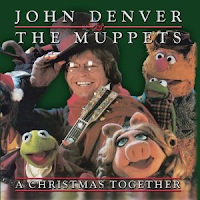 It's still one that I love though-- some of the songs are silly like the Muppets and the others are sentimental like John Denver. A little something for everyone. My favorite tracks: For silly, I love Twelve Days of Christmas and Little Saint Nick. For sentimental, I love the tearjerkers When the River Meets the Sea, The Christmas Wish, and the medley that includes It's In Every One of Us. 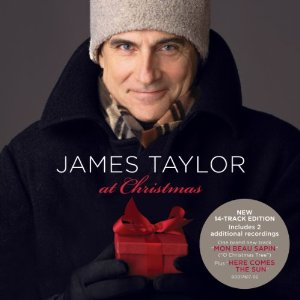 James Taylor really can do no wrong and this whole album is great. It's a low key and relaxed Christmas album-- perfect for listening to while you're lounging around during the holidays. It's almost a little jazzy. My favorite tracks: River (a Joni Mitchell classic), Baby It's Cold Outside (a duet with Natalie Cole), In the Bleak Midwinter, and Have Yourself a Merry Little Christmas. Christmas songs as performed by crooners are always great, but Michael Buble makes it somehomw sound a little less dated. On this album there is a great mix of really fun upbeat tracks and slower more traditional ones too. Another CD with something for everyone. 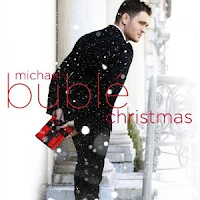 My favorite tracks: I'll Be Home for Christmas, Jingle Bells (featuring the Puppini Sisters), and Blue Christmas (an Elvis song that I don't really like unless Buble or Celine is singing it). One of the first holiday albums I purchased for myself back in high school. You can't go wrong with a few holiday songs sung by your favorite diva! And let's face it, her voice is pretty amazing. My favorite tracks: This Christmas, These Are Special Times, and O Holy Night-- this girl can really belt it out! 8. 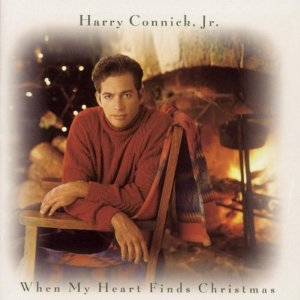 When My Heart Find Christmas by Harry Connick Jr.
Harry is another great modern crooner like Michael Buble. Another CD with a great mix of upbeat swingy music and sentimental ballads and old standards. I also love the 1990's effect of the frosted frame on this album cover. Amazing. My favorite tracks: When My Heart Finds Christmas, Sleigh Ride, and one of my favorite non-Christmas holiday songs What are you doing New Year's Eve? The ultimate Christmas album. It's a classic that everyone should have in their collection. When you think of "chestnuts roasting on an open fire" who else do you think of singing it but Nat? 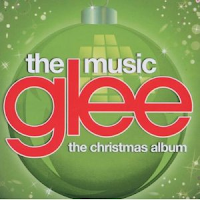 My favorite tracks: The Christmas Song, of course. 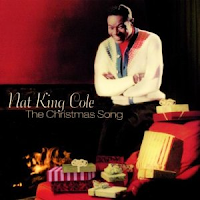 Many CDs also include this one as a duet with his daughter Natalie. Love that one as well! I also love his take on some of the other classics like I Saw Three Ships, Deck the Halls, Caroling Caroling, and O Come All Ye Faithful. My little sisters are Gleeks and they introduced me to this one. I didn't want to like it, but I really do! They have released a few more Christmas albums since, but I really like this first one. 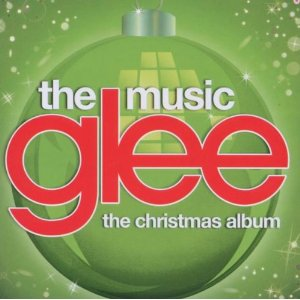 My favorite tracks: We Need a Little Christmas, Baby, It's Cold Outside (who would know this version is performed by two boys? 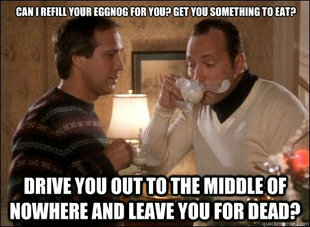 ), and Last Christmas, a classic 80s Christmas song. I just love mac and cheese. It's always been one of my favorites since childhood back when we lived on the powdered orange kind. I'm not going to lie-- I still love some Kraft macaroni and cheese when I'm under the weather. It's the ultimate comfort food and is so easy to make that my husband can do it when I'm not feeling up to cooking. There is something to be said however, for some really good adult mac and cheese. The kind made with a real sauce, quality cheeses, creamy in the middle, crunchy on top. Homemade mac and cheese is surprisingly easy to make and since it is easy enough to double or triple the recipe, you can feed a big crowd too. I used a 2% milk rue as a base for this sauce, which keeps the fat down significantly. You could make it really decadent and use cream or whole milk, or go even healthier with skim or 1%. If you use lower fat milk, I might suggest adding a little more flour when you are creating the base just to make sure it gets thick enough. The type of cheese, pasta shape, and prosciutto I used here were mainly just because it was what I had on hand that night. You can get creative though or use this recipe as a way to clean out your fridge and mix and match. Gruyere is one of my favorite cheeses to use in mac and cheese. And you could always use cooked crumbled bacon in lieu of prosciutto. Or sub in chopped cooked brocolli for a vegetarian take on it. Preheat oven to 350 degrees. In a medium saucepan, melt butter over medium heat. Add flour and whisk consistently for about 2 minutes until combined and flour is "cooked." Continue to whisk as you stream in the milk until combined. Raise heat, bring milk to a boil, and then reduce heat and simmer for 5-10 minutes or until milk is thickened and reduced, whisking occasionally. Remove from heat and add 1/2 of the Romano cheese and all of the cheddar. Stir until cheese is fully melted and then combine with pasta and chopped prosciutto. Lightly grease a 9x9 baking dish with olive oil or cooking spray and pour pasta mixture evenly into the dish. Sprinkle reserved Romano cheese evenly over the top and then follow by sprinkling breadcrumbs on top of that. Lightly spray the breadcrumbs with olive oil or cooking spray and bake for 12-15 minutes until top layer of cheese begins to melt. Turn on your broiler and broil the mac and cheese until the breadcrumbs start to brown. Remove from oven and serve.